Welcome Java Developers! The KnoxJava group is getting setup. Standby for details of dates, topics and locations. Here are our great sponsors that help make various things possible. Email us below if you'd like to sponsor us. Upcoming presentations and other announcements are posted on our Twitter feed. 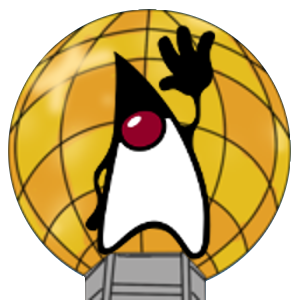 Join us in the #Java channel in the KnoxDevs Slack for announcements and other discussions. Presentations and other material discussed at group meetings are available on our GitHub site.